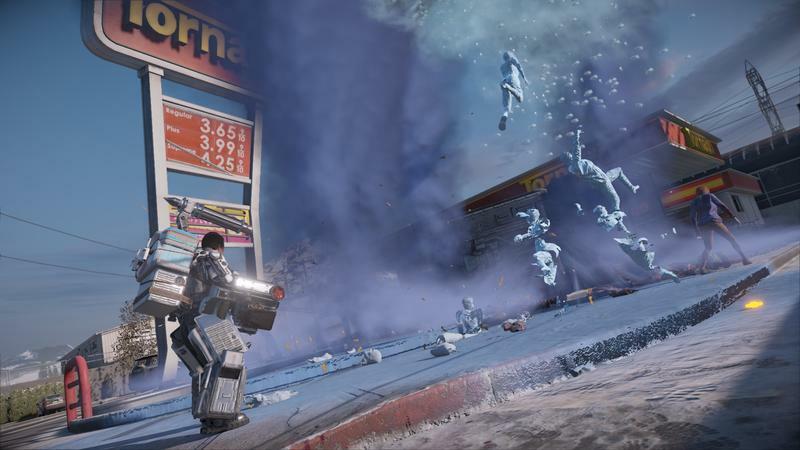 Dead Rising 3 was largely considered a solid game. In fact, some list it as one of the best launch titles for the Xbox One. Sure, it’s good. 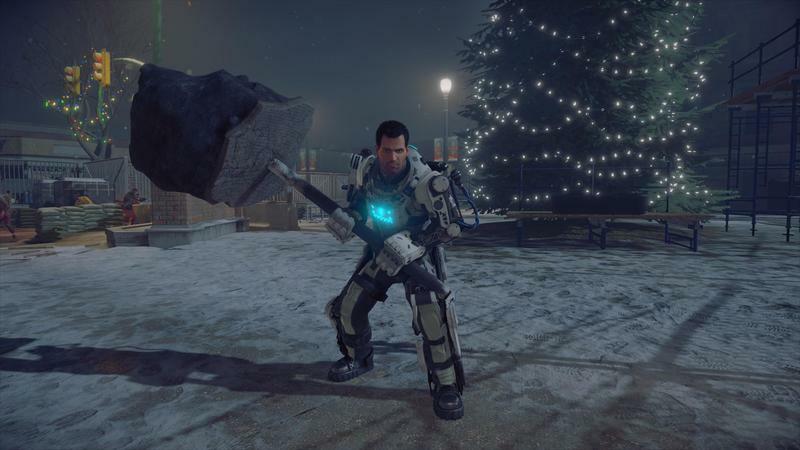 I won’t dispute that, on the whole, Dead Rising 3 was strong. For my money, though? 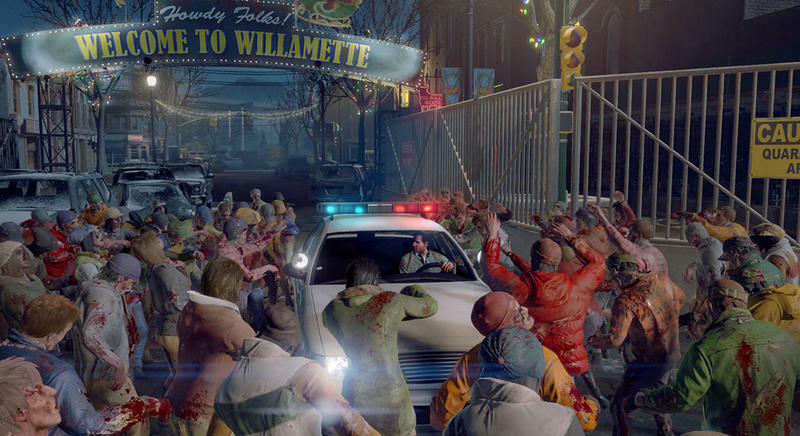 It wasn’t really Dead Rising. This franchise, to me, is about being absolutely ridiculous in the face of awful situations. It’s about donning a Mega Man costume while trying to solve a world crisis. 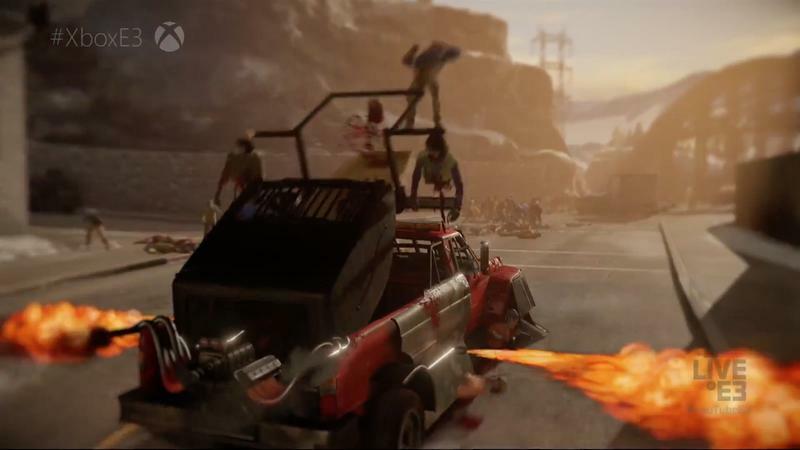 It’s about riding a lawn mower through a horde of zombies while racing to save your daughter’s life. 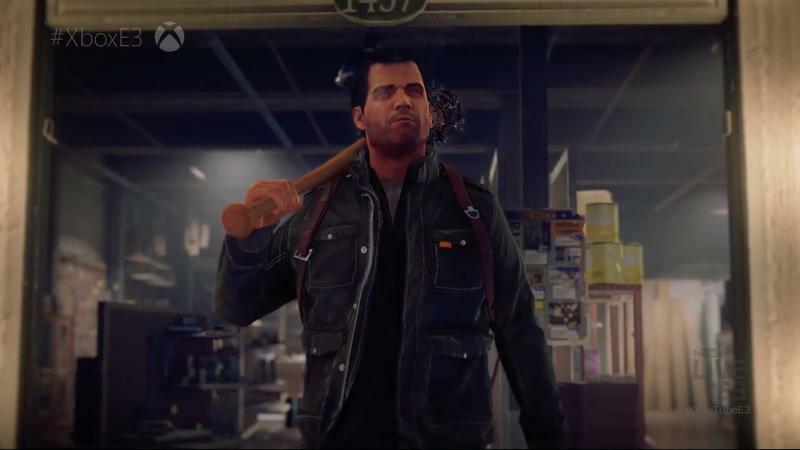 When Capcom and Microsoft announced the return of Frank West to the Dead Rising series with Dead Rising 4, I was immediately excited. Speaking with Executive Producer Bryce Cochrane, I learned that the events in this game take place 16 years after those in the original. They go down in the same town, in the same (albeit rebuilt) mall with the same hero. Frank West, the wisecracking journalist, has returned. 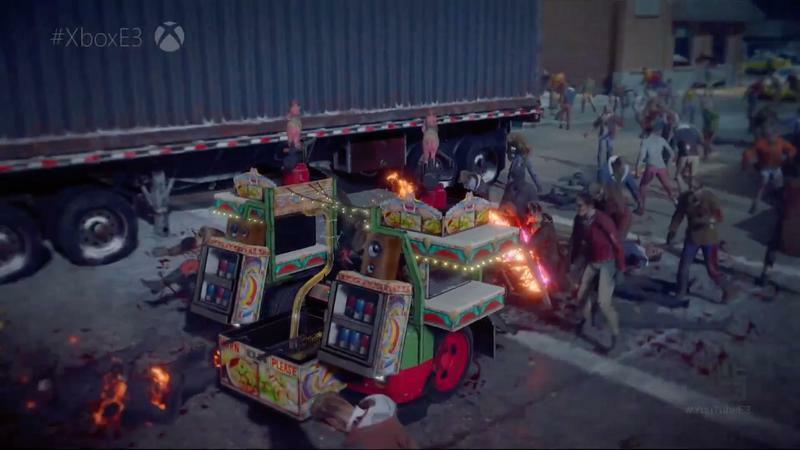 Cochrane was quick to tell me that they were aiming to make a Dead Rising with serious undertones. 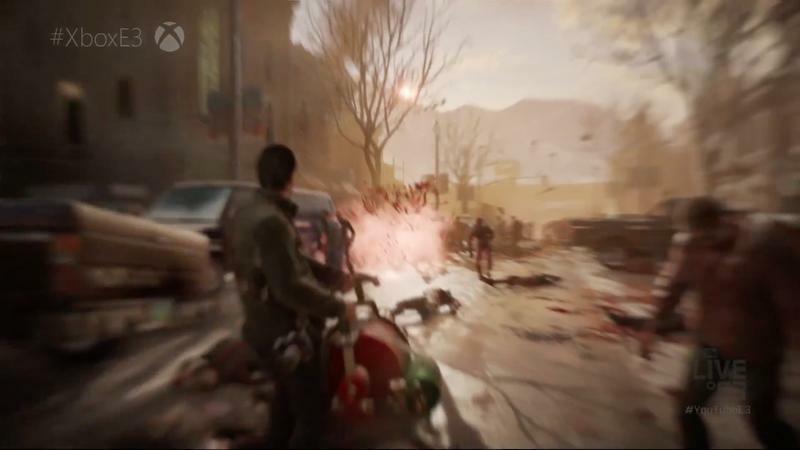 This is a zombie apocalypse, and the world is upended around the player. With that said, Bryce also told me that if the player wants to run into a horde of zombies wearing a turkey suit and wielding a chainsaw, they can do that. 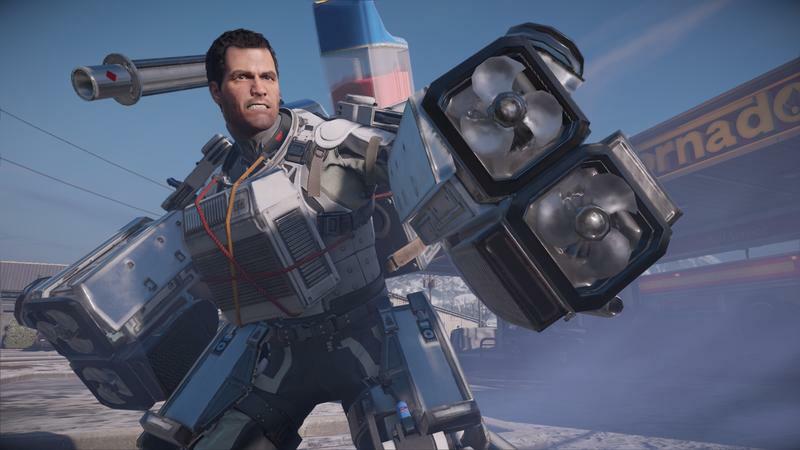 Dead Rising 4 will play however the player wants to play. 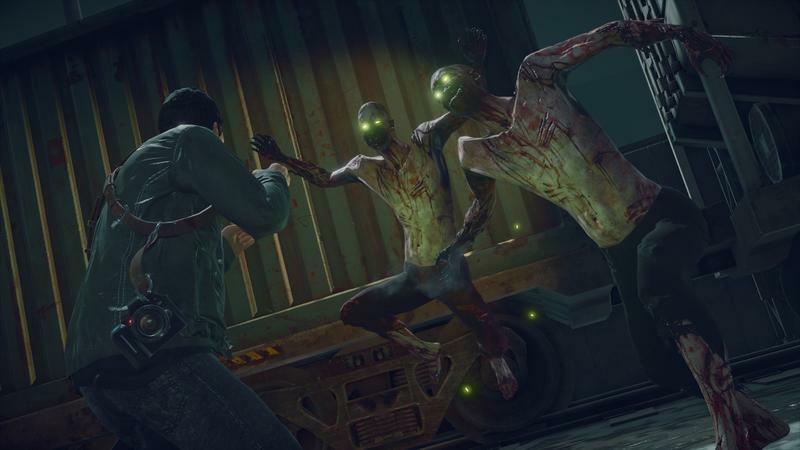 If you want to hide from conflict and watch as survivors battle zombies, you can do that. If you want to be the complete idiot version of Frank West that I love, you can bust out your camera, take selfies with security guards and beat the game that way. That’s exactly what I wanted to hear for Dead Rising 4. I know some folks want to look at this series as a more serious craft-a-thon, I suppose. I want to have fun. That’s why I loved the first game on the Xbox 360 10 years ago. That’s why I’m looking forward to this new one. 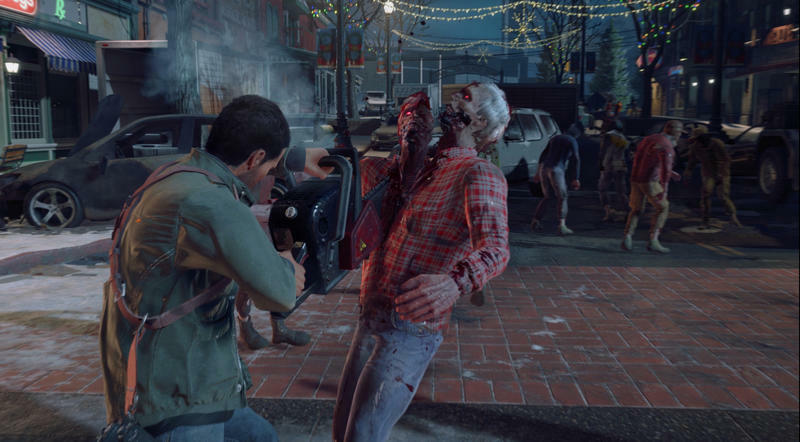 Dead Rising 3 was soaked in grit and grime. 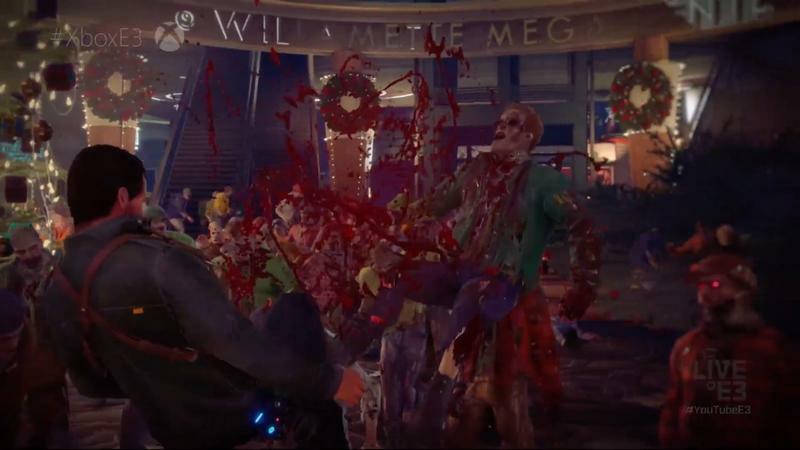 Dead Rising 4 seems soaked with Christmas music, blood spatter and camp. That’s what I want. 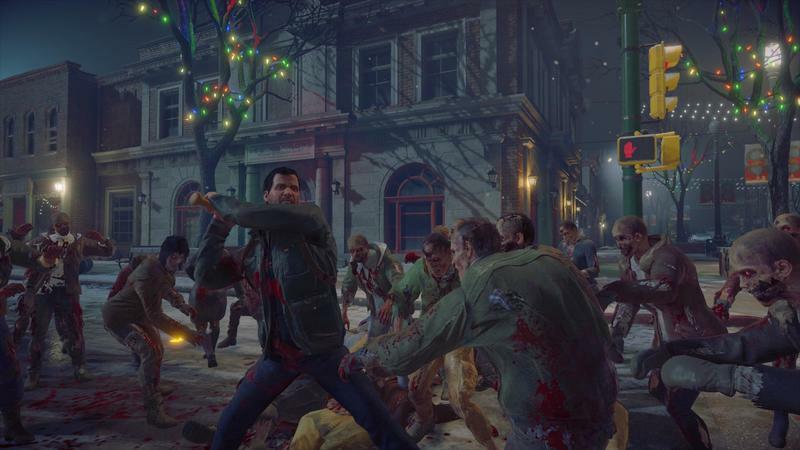 That’s the Dead Rising I’m excited to play on December 6, 2016.